I shared a bunch of plus size swimwear with you yesterday. 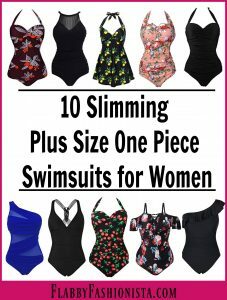 After I posted my plus size swimwear post, I was inspired to create a post of slimming one piece swimsuits on my other site. While doing that research I came across a whole bunch of slimming one piece plus size swimsuits so I figured I should do another post here. I have literally been looking at swimsuits for the last 24 hours. I can’t even tell you how many swimsuits I’ve pinned on my Plus Size Swimwear Pinterest Board. 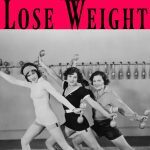 Ok…actually I can tell you, I have over 165 and I’m sure I’ll add more as I continue to see fabulous plus size swimsuits. 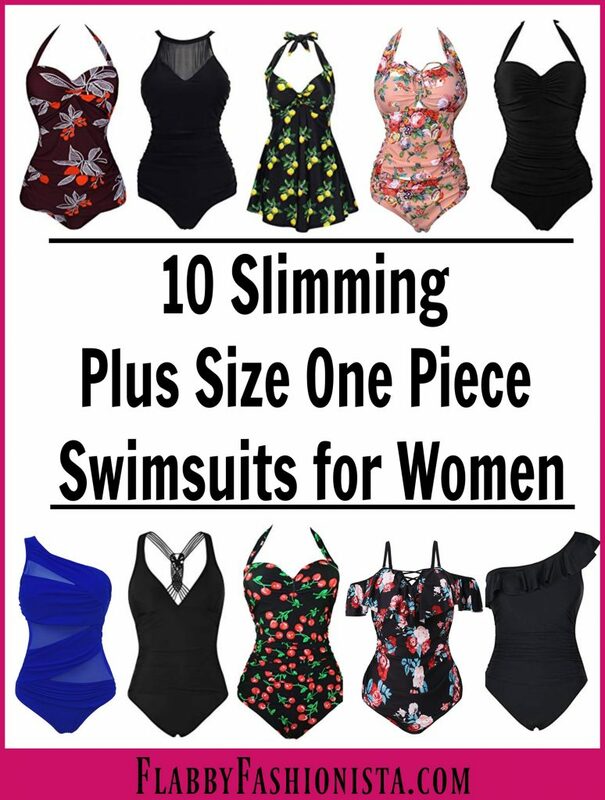 All of the suits I’m sharing today are slimming one piece suits that are helpful for hiding your trouble areas…and let’s face it, we all have some trouble areas we want to camouflage. If you’re looking for a plus size one piece swimsuit, you’ve come to the right place. And make sure to share this with your friends who are looking as well. Which of these suits is your favorite? 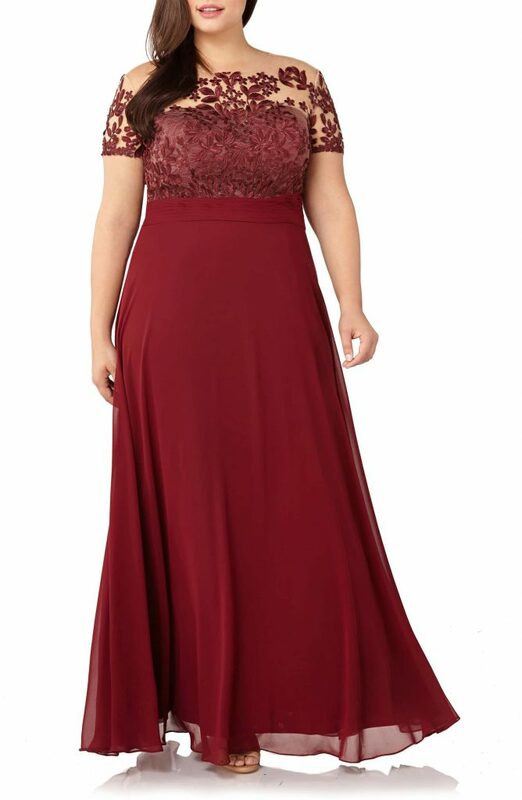 Do you have a slimming plus size suit that you love? Leave a comment! 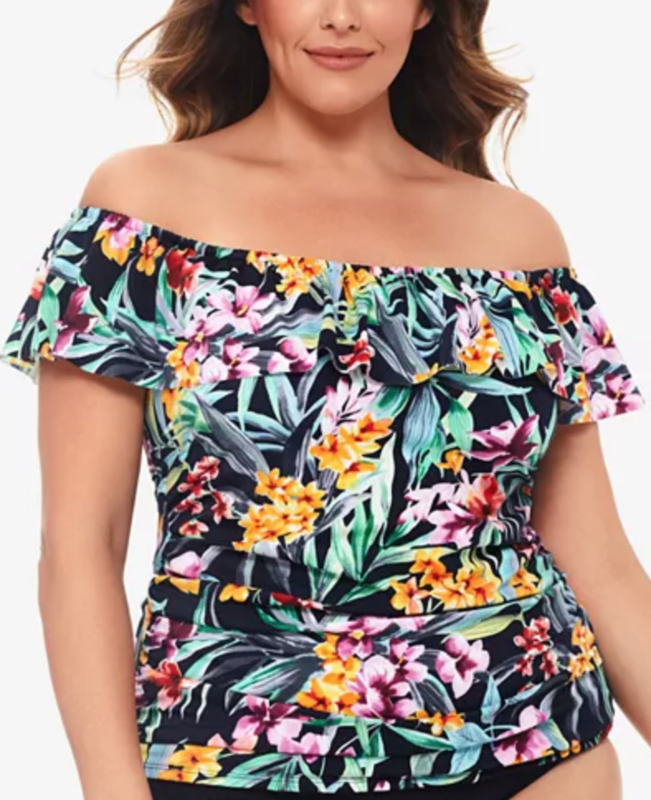 It’s that time of year where women everywhere are beginning that dreaded search for a swimsuit…and if you’re plus size, finding plus size swimwear can be even more challenging. 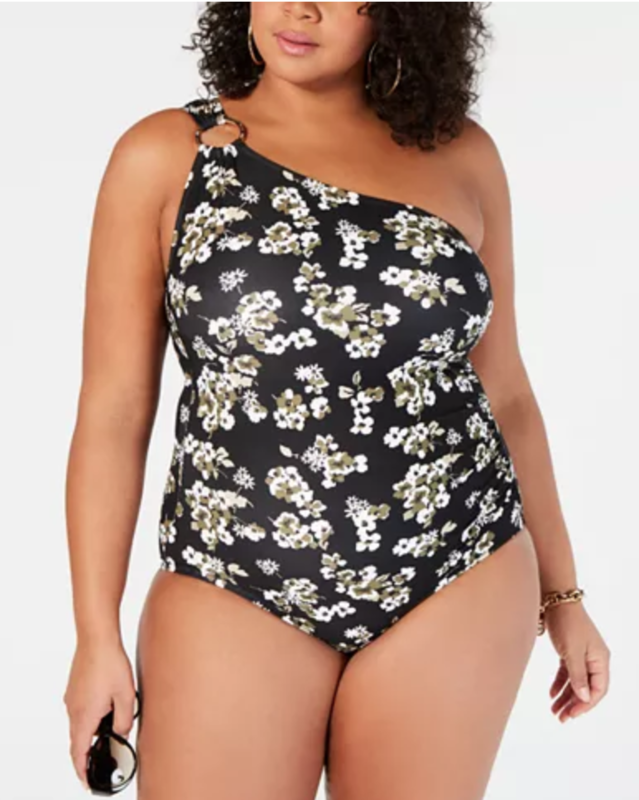 Thankfully, over the past few years, retailers have really stepped up to the plate and there are some really cute plus size swimsuits this year. 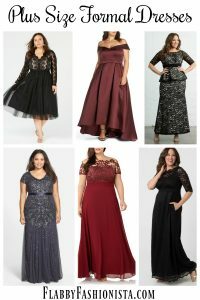 When it comes to plus size bathing suits, we know that you’re body shape can determine what styles are flattering on you, so we’ve included a variety of styles….plus size bikinis, plus size tankinis, plus size one-piece swimsuits, plus size swim dresses and we’ve even included a few plus size swim cover-ups. Without further ado, the best plus size swimwear of 2019. Another cute option with this floral bathing suit is these floral swim briefs. 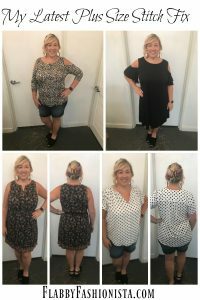 I hope this helps you find something fabulous to wear this summer! I also want to remind you that if you’re a parent, your kids don’t care how you look in a swimsuit. And the same goes for your friends and family. They just want you to spend time doing fun things with them. So buy yourself a fabulous bathing suit…and go do something fun! I’ve been fascinated by capsule wardrobes for a long time. I love the idea of having a small amount of clothes that mix and match. 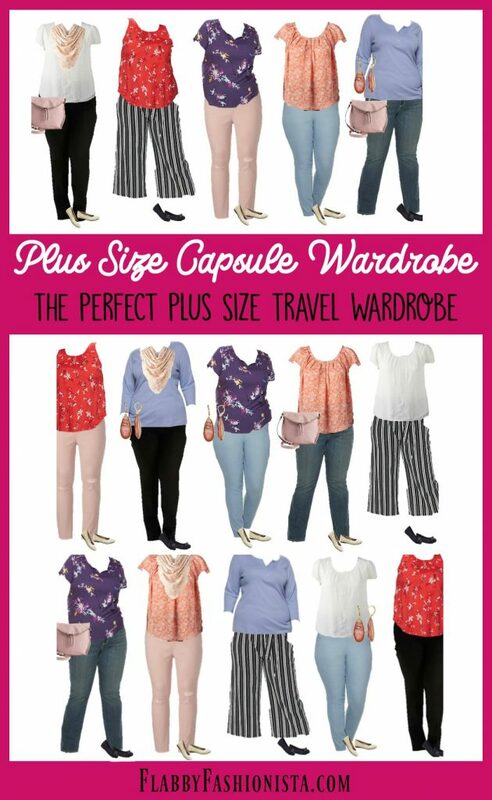 The idea of a plus size capsule wardrobe that will also double as a plus size travel wardrobe seemed like a perfect idea. This spring capsule wardrobe contains 15 items that can be mixed and matched to create 15 outfits. It’s the perfect combination of outfits and will give you 2 weeks worth of cute outfits so you can vacation in style without packing a zillion things. Packing light has always been something I’ve aspired to, but not been able to do well. I love the idea of knowing exactly what to pack, having a reference for what to wear and even being able to accessorize well. The best way to take advantage of this plus size capsule wardrobe is to check out the items on this list and then go through your closet to see what you have that is similar. Many of these items can be replaced by items in your closet. And since the 15 items listed include shoes, earrings, and a scarf, my guess is you could re-create this capsule wardrobe by purchasing less than 10 items. Do you have a favorite item on this list? How many of these items do you already have in your closet? 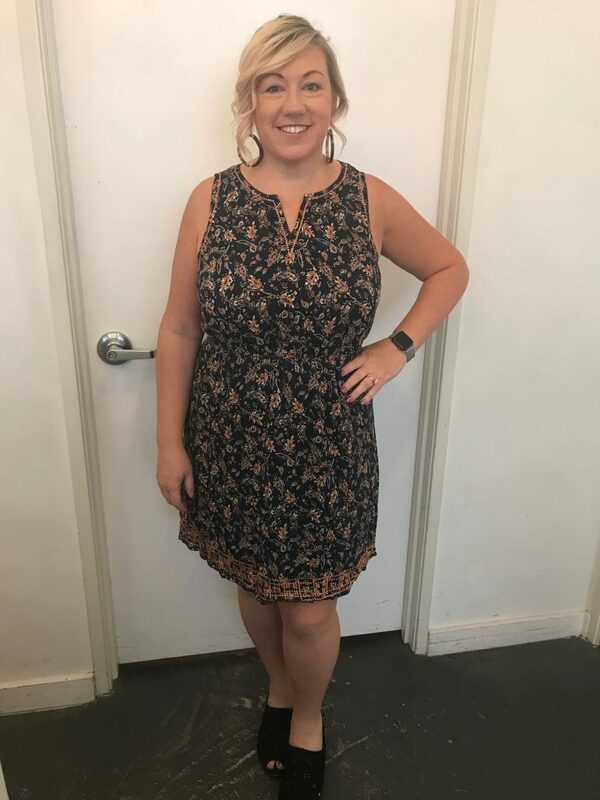 I’m totally in love with the Stitch Fix Plus Size Clothes I’ve been getting in my Stitch Fix boxes. Seriously…each one is better than the last! I got another Stitch Fix box this week and it was amazing! I was really tempted to keep everything in my box! It’s gotten to the point that rather than going shopping for what I need, I send a note to my Stitch Fix stylist with the items I need and then request another Stitch Fix box. I know that sounds crazy, but with my busy schedule it’s been a lifesaver! 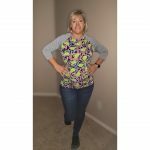 The first top I tried on from my Stitch Fix box is this gorgeous top from Papermoon. 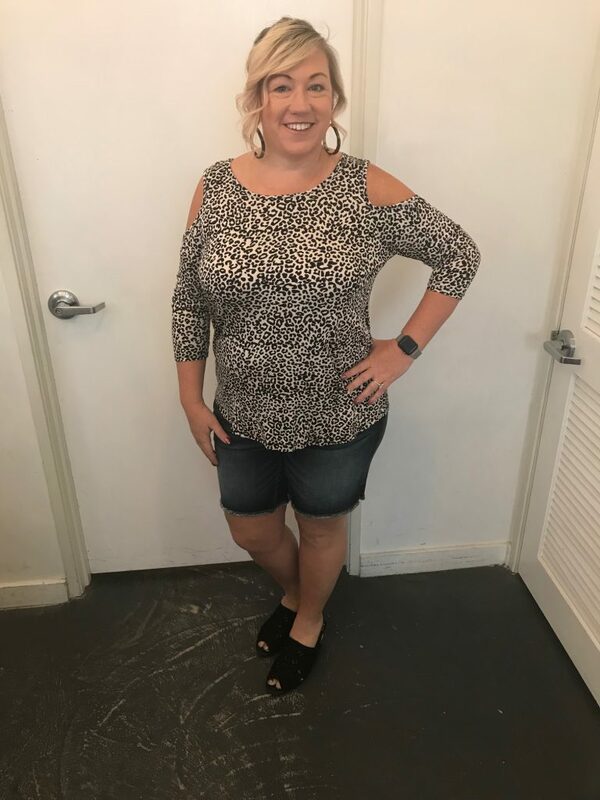 I’m a huge fan of animal print and I also like a cold shoulder top that’s cut to allow me to wear my Ruby Ribbon cami. What really sold me on the top though was the strap details on the back! Isn’t this top so fun!?! The denim shorts I’m wearing also came from this box. 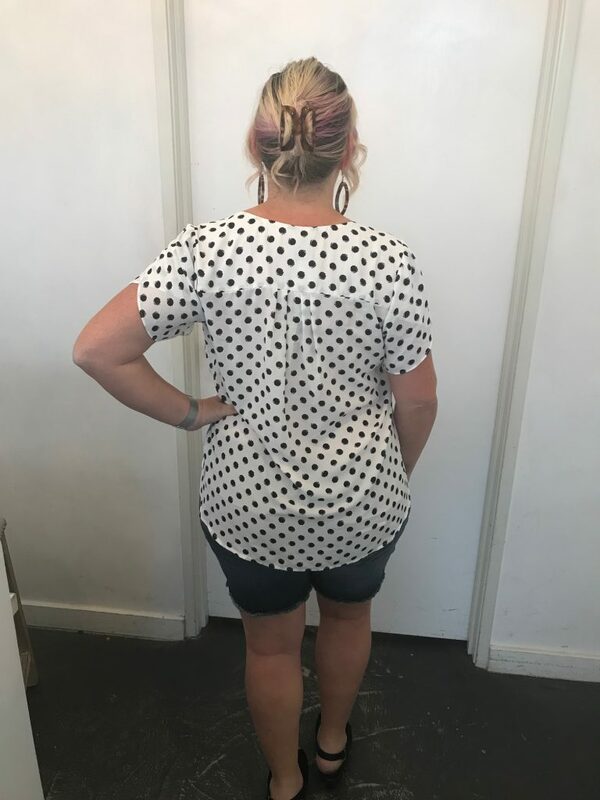 I’ve been struggling to find a pair of plus size denim shorts that don’t look like they should be worn by a 70 year old lady or a 12 year old girl. There just didn’t seem to be much out there in terms of plus size denim shorts. The shorts were actually the whole reason I requested this box, so I was thrilled that they fit so well. They were a great length (although a little longer than what I’d typically wear). Next up was a Plus Size blouse from 41 Hawthorn. 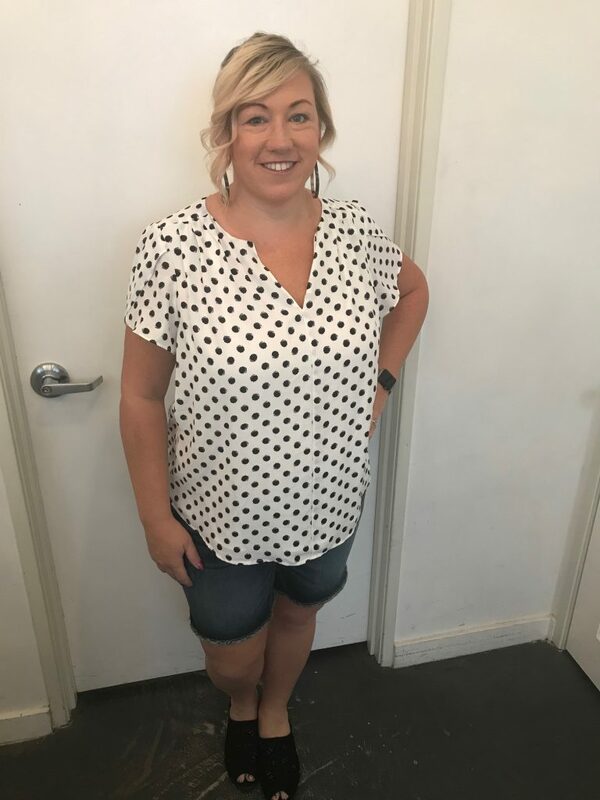 My stylist knows I love all things polka dotted, so she sent this blouse. I really wanted to love this top, but I think it’s too big and not at all flattering. I’m wearing the denim shorts again with this top. 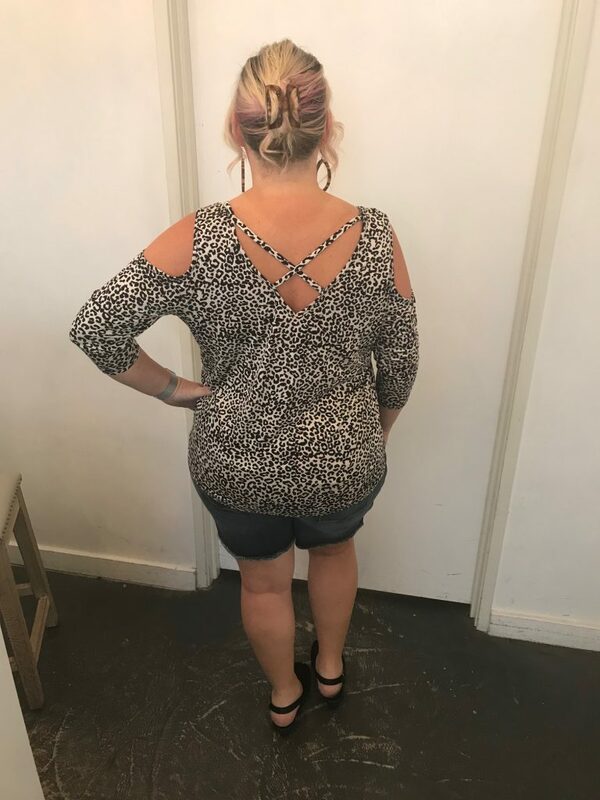 I also think this blouse looks weird in the back. My stylist also sent 2 fabulous plus size dresses. 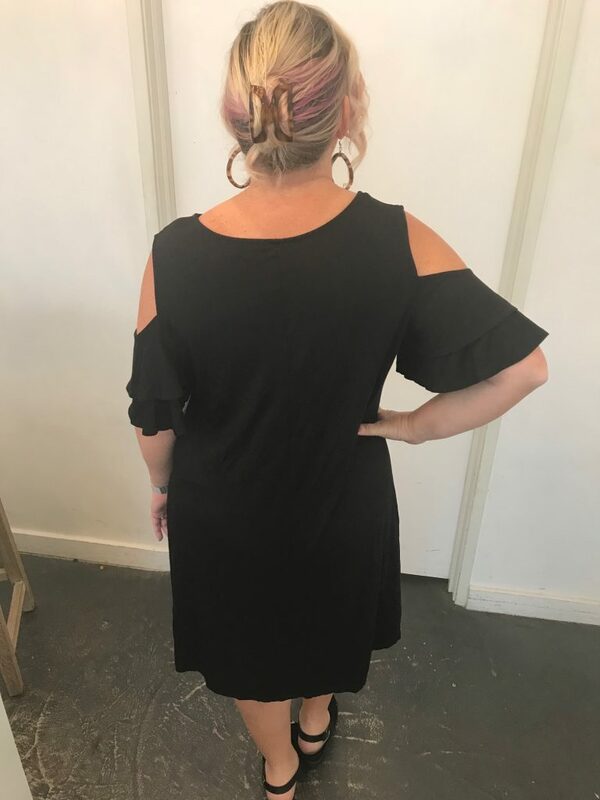 This first dress is a plus size t-shirt dress. 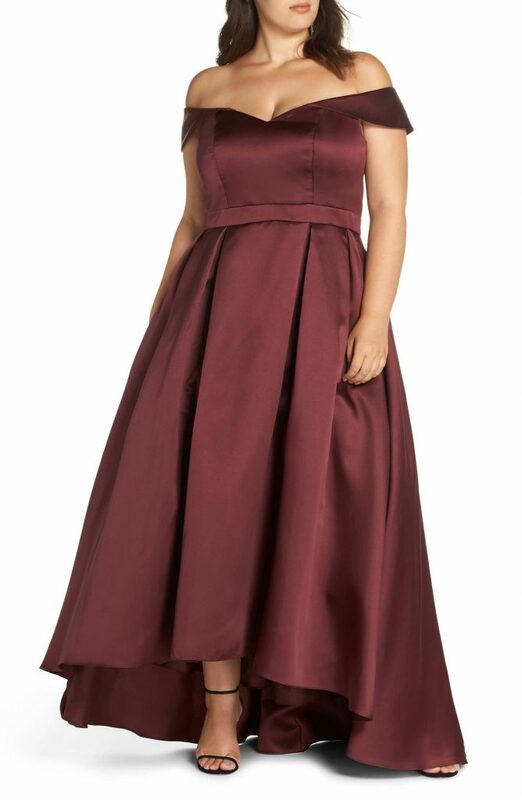 I absolutely loved the fabric and the cut. The only problem was that it’s too big. It looks way better in the picture than it does in person. 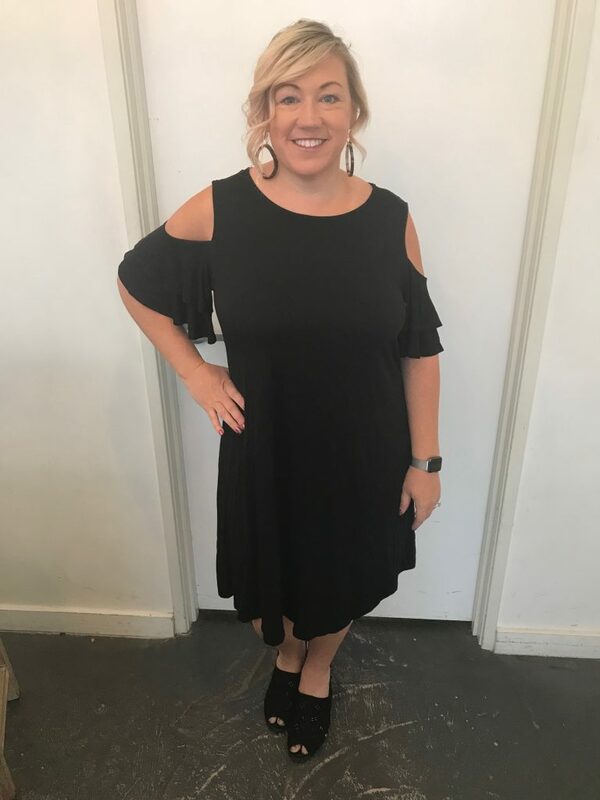 I love the combo of cold shoulder and ruffled sleeves! 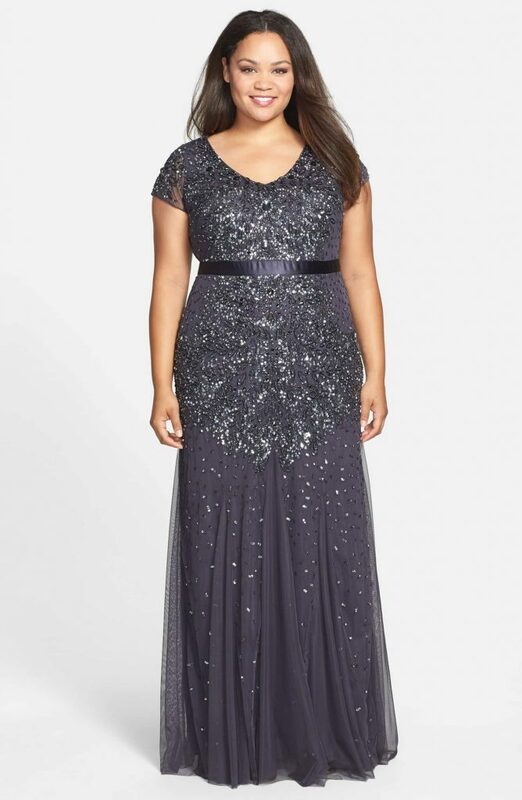 Last but definitely not least is this plus size dress. It fits like a dream. The only drawback is the color & pattern combo. It’s totally not what I’d normally wear. I tend to go with bolder patterns and I’m not a big fan of anything peach or orange. But it seriously fits like a dream!!! 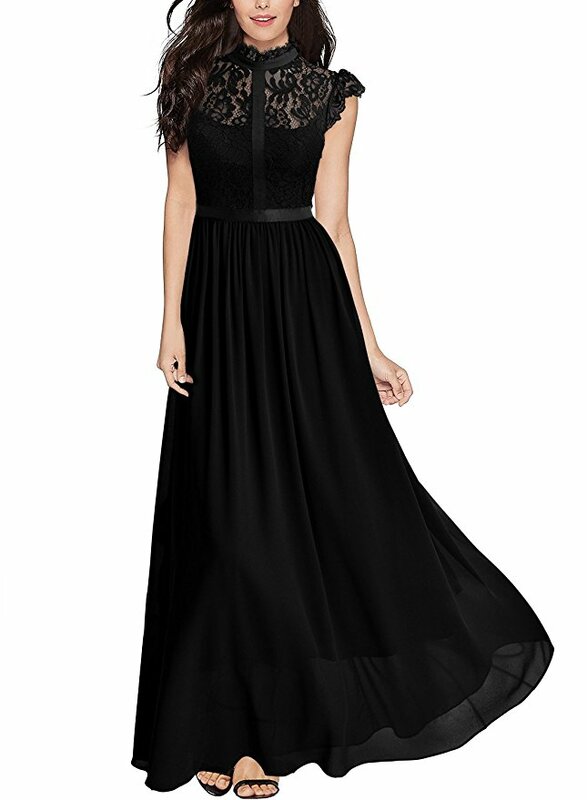 I really wish it was available in another color and pattern! See what I mean? What do you think of my Stitch Fix Plus Sizes clothes box? What should I keep??? If you’ve never tried Stitch Fix, here’s how it works. 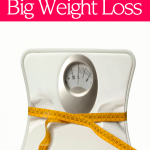 You sign up and then fill out a questionnaire about your sizes, your style preferences and more. They even ask you how much you like to spend on various pieces of clothing so they can send you a box that fits your budget. Then you choose how frequently you want to receive your style fixes. Once you’ve done all that, schedule the date you want your fix to arrive and sit back and wait. Your personal stylist will take into account your likes and dislikes and will get your box ready to go. Then once your box arrives, you’ll have 3 days to decide what you want to keep and what you want to send back. 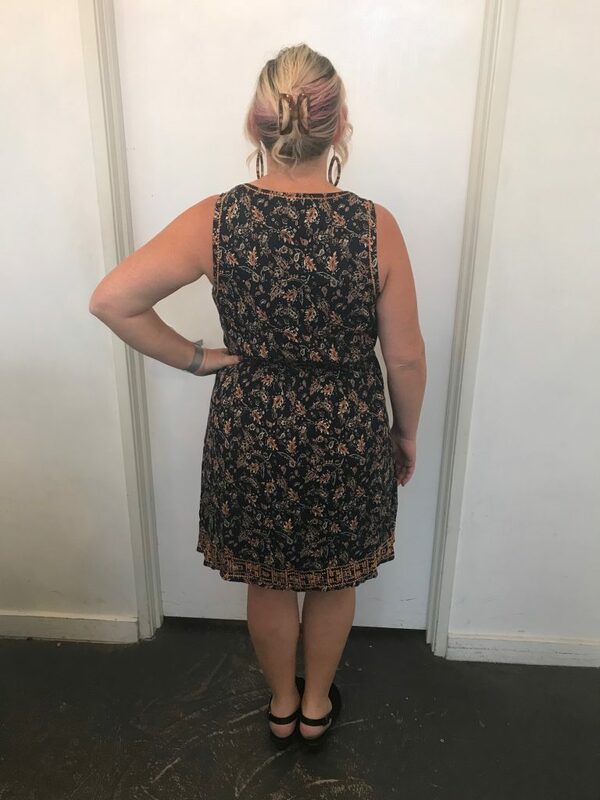 There is a $20 styling fee, but when you decide to keep an item in your box, your $20 styling fee is applied to that purchase. If you decide to keep everything in your box, they offer you 25% off your entire purchase. If there are items in your box that you want to send back, simply use the prepaid envelope to ship them back. It’s easy peasy! 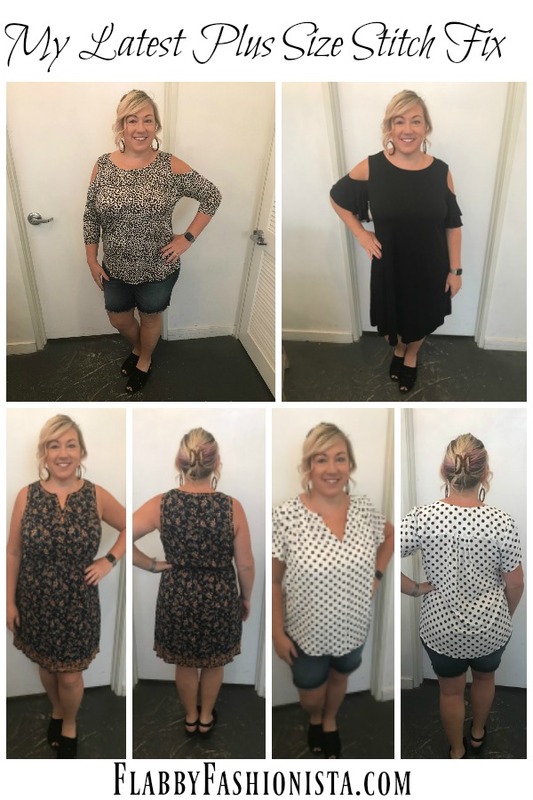 Want to try Stitch Fix? Sign up here!